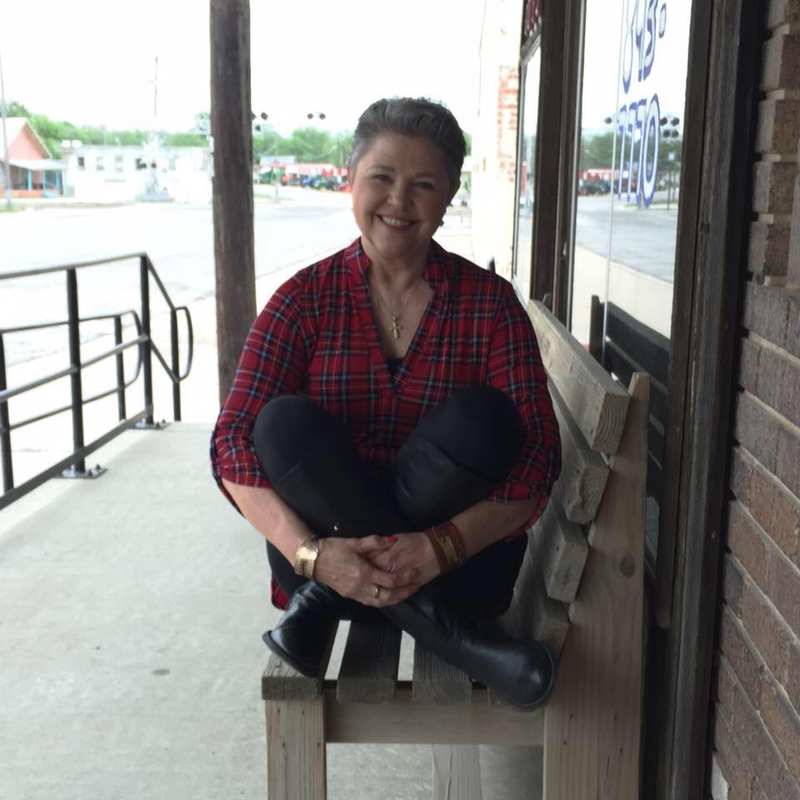 Carol Hogner grew up in East Texas. Carol has always loved music, she grew up singing with her sisters while doing dishes. She also was part of a group called the Spirituals. Her love for singing never went away, however she took a break to focus on and raise her two children Amber and Josh. As time went by she went back to singing with a strong passion for the Lord. She was singing at a rodeo Bible camp where she met her late husband, Jeff Hogner. Through her marriage she gained two more daughters Hannah and Halee. Carol and Jeff were married over 15 years. They traveled all over putting on cowboy church services and concerts. After Jeff passed away Carol continued to travel and do what she loves most sing her Jesus Jams. Carol has a heart to let those out there that have experienced loss of any kind, know that He Won't Ever Let You go! Carol continues to see His hand of blessings daily. She has now gained a beautiful daughter-in-love ;Michelle and son-in-love named Ben. She has 9 grandchildren she loves to call her Smiles. Carol now travels singing and speaking all over the United States and Canada. She was nominated in 2014 as New Artist Of The Year and 2015 as Female Vocalist of the year with ICMA out of Nashville. 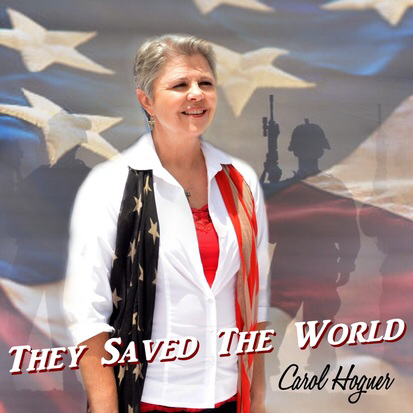 Carol has released three songs to radio, one of which is They Saved The World. They Saved The World is a song honoring our military men and women and Veterans. It is Carols passion to make sure each one of them know just how much they are loved and appreciated. My very favorite song to sing is our very own National Anthem. I would be honored to come to your local sporting, rodeo or Patriotic event and sing our National Anthem for you. Below is a link to listen to the recorded version and a Youtube of a live recording. Although I've never met Carol, I felt a kindred spirit the very first time she popped up on my FB. I really don't know when it popped up or why except it was a God meeting. I have one of her CD'S & I listen on YouTube & I am super blessed & uplifted with every song. If I'm having a low day all I have to do is listen to her or message her for prayer. She has helped me pray through some very very dark times. As I tell her, I know God is arranging a face to face for us & it is going to be AMAZING. All in all I'm saying she has been a spiritual life saver for me & a super duper prayer partner...available 24/7. That's why I call her my God Sister.....because God placed her in my life when I needed someone so bad. Love her, her music & her sweet spirit more than I can put into words. I was blessed to meet Carol Hogner while working team ropings and through her ministry with church services at the USTRC ropings. We became instant friends. Carol is a true example of living a “Christ Like” life. Her faith in God never falters. Carol makes each person she meets feel like they are special and loved. She also has a voice of an angel. Her love for life and others is truly infectious. Just being in her presence makes you want to be a better person. I realized the impact she makes on others when I went on vacation with her in the Bahamas (after inviting myself along LOL). She shared her gift of gospel music and her love for the Lord with many on the cruise. Her example of kindness made her a favorite among the staff and passengers. You know when Carol Hogner is around because she lights up the room. She is a true blessing in my life. I met Carol through my wife Cassie. I have got to do several events with her. I feel she is very sincere and touches a lot of hearts. I think her music is great. She's probably one of the best singers out there and as far as female vocalist she is ESPECIALLY the best.